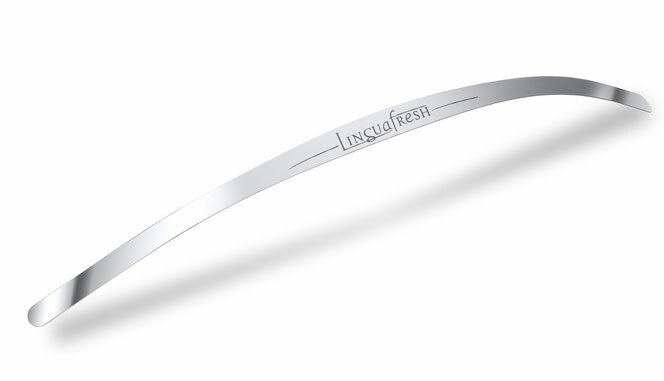 LinguaFreshONE – can be used single handedly! 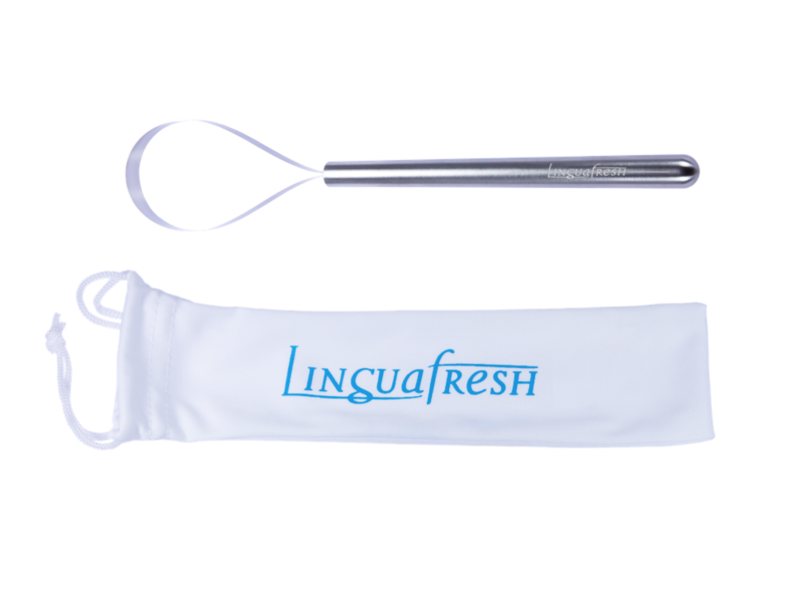 LinguaFreshONE was developed together with well-known specialists from the areas of periodontology and halitosis. For whom is it especially suited? Children, older people and persons with a physical limitation or disability benefit in particular from the single-handed application. Suitable for right and left-handed persons alike. 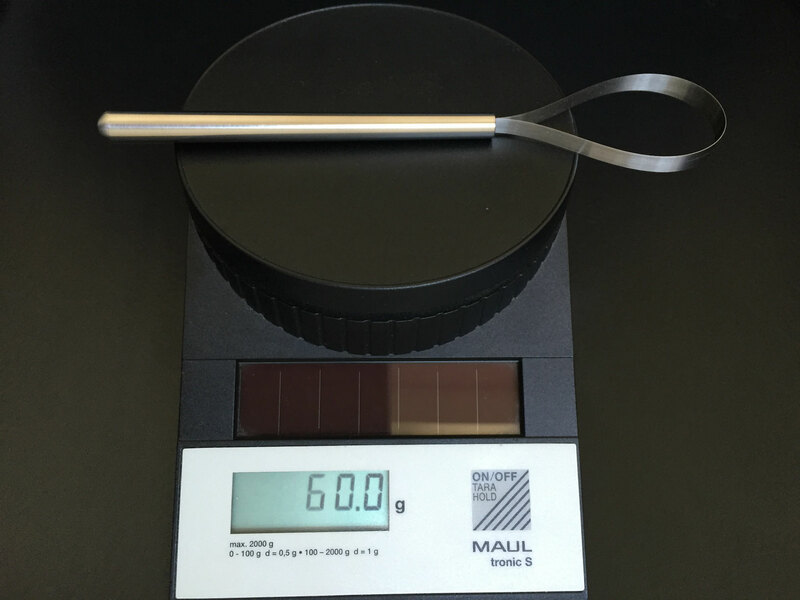 Due to its own high weight - the tongue cleaner LinguaFreshONE is made out of solid stainless steel used in surgery – it suffices to simply lay the tongue cleaner on the outstretched tongue and to pull it forward, without having to exert pressure. The soft-touch variant was developed with the chief purpose in mind of making tongue cleaning a pleasure. Soft like velvet, the tongue cleaner lies in your hand – similar to a smooth, polished palm stone. You will therefore enjoy using your tongue cleaner everyday anew. Of course the flock is waterproof and soap-resistant; you can put the tongue cleaner in the dishwasher every week for cleaning without any problem. 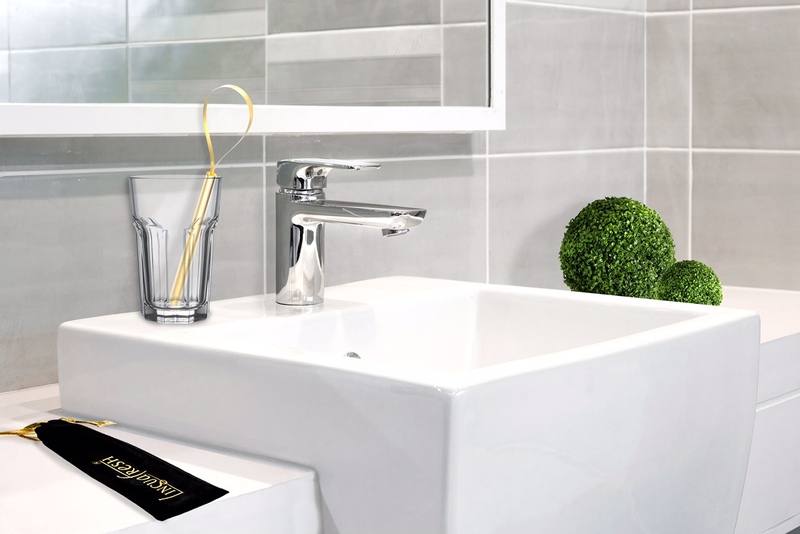 Soft-touch is an ultra-fine flock material, which is used in the automobile industry amongst other things, and whose hygienic cleansing has proven unproblematic. 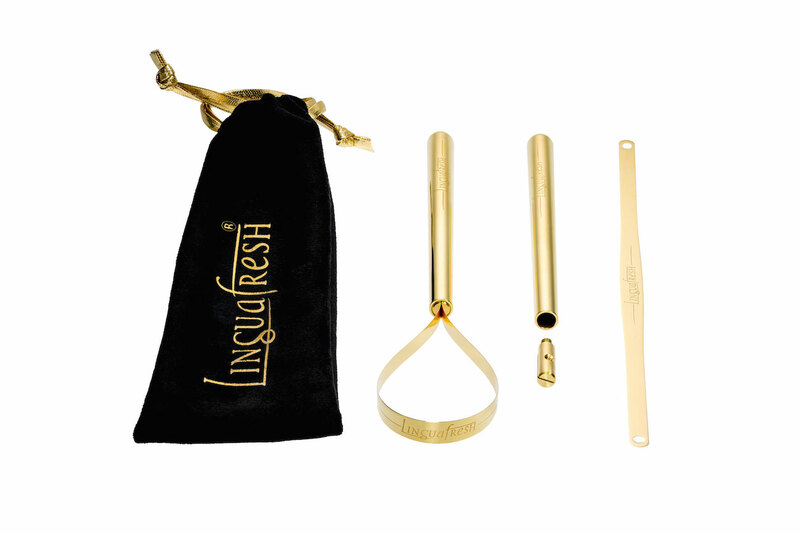 Each tongue cleaner is delivered in a small white transport pouch with a cord. and is indestructible if used proberly. 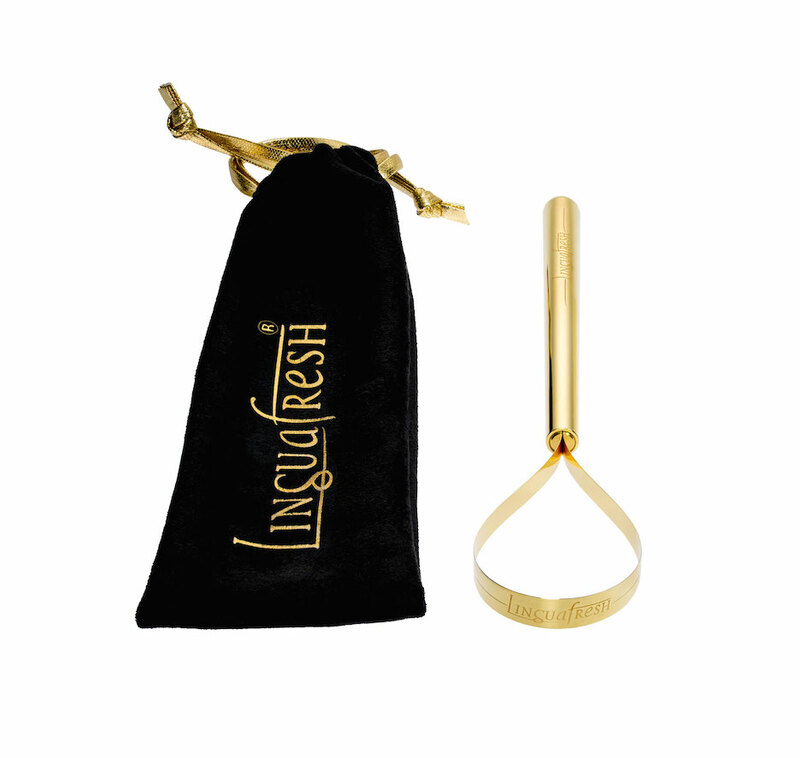 The tongue cleaner LinguaFreshSLIM consists of a bendable flat strip of hand-polished, burr-free stainless steel that is only 0.2 mm thick. It is 20 cm long and 8mm wide in the middle. 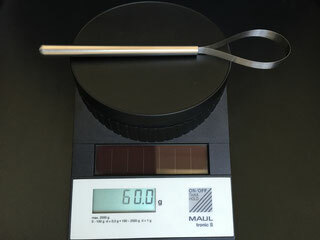 The high-quality stainless steel that has been finished in four complex production steps is processed in such a way that the tongue cleaner returns to its original straight form after each bending. Due to its ultra-smooth refined surface, the instrument is easy to clean and resistant to chemical influences. 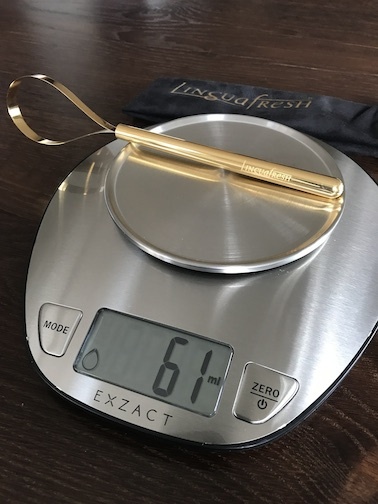 LinguaFreshSLIM is shipped in a protective transparent cover, which is especially practical for travelling.